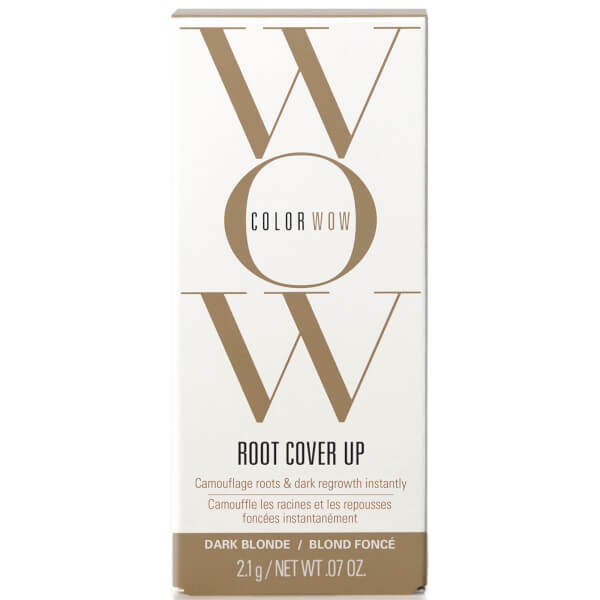 Experience a quick and easy colour touch-up with Color WOW Root Cover Up in 'Dark Blonde', a revolutionary and award-winning root concealer that instantly camouflages greys and dark regrowth. Completely water-resistant and non-drying, the mineral powder formula delivers immediate concealing benefits without compromising the condition of your hair; simply use the brush provided and press onto roots for mess-free results. Versatile and easy to use, it will cover unwanted greys and dark roots whilst filling in the hairline and covering gaps to create the appearance of thicker tresses. Its dose of pigments and reflective particles create a natural, multi-dimensional finish; perfect for extending highlights without peroxide. Won't feel stiff or sticky in hair. House in a mirrored compact with dual-ended application brush. Free from waxes, dyes, parabens and ammonia. Apply to dry hair. Load up small end of brush with powder. Use free hand to pull hair flat/taut against head and press brush down firmly into roots, starting from scalp and working out - do not use sweeping motion. Apply more powder as needed. To extend highlights, use side edge of small brush. 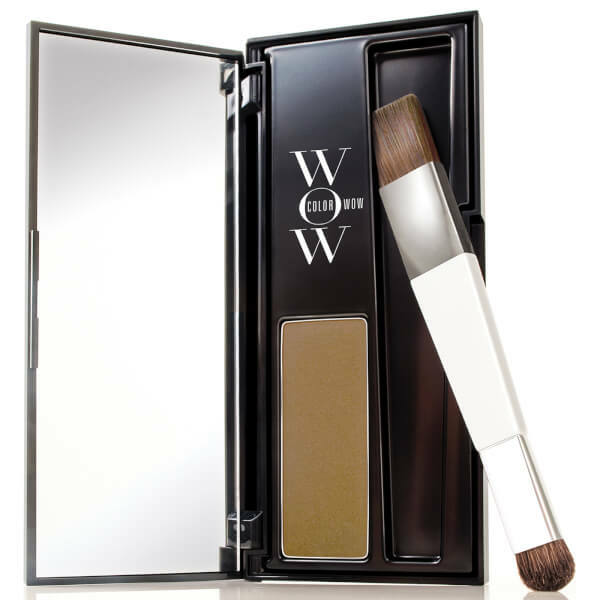 Lightly dust off any excess powder with wide end of brush. Talc, Synthetic Fluorphlogopite, Mica, Zinc Stearate, Octyldodecyl Stearoyl Stearate, Ethylhexyl Palmitate, Silica, Aluminum Starch Octenylsuccinate, Pentaerythrityl, Tetraisostearate, Ethylhexylglycerin, Zea Mays (Corn) Starch, Phenoxyethanol, Kaolin, Triethoxycaprylylsilane, Potassium, Sorbate, Tin Oxide, CI 77891 (Titanium Dioxide), CI 77492 (Iron Oxides), CI 77491 (Iron Oxides), CI 77499 (Iron Oxides).